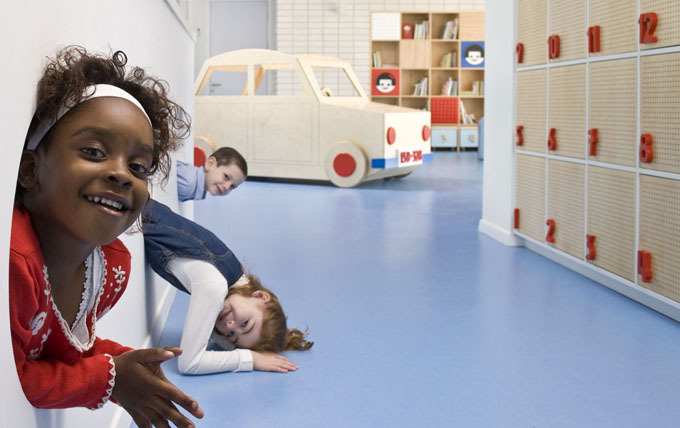 So often the design of ECEC's schools and playgrounds have been dictated by durability, cost-savings and maximisation of space, whilst fun and play has sufficed. There is a need to rethink how we design for children that is inspiring, and imaginative for play, and this change is beginning to happen. As seen here there is an emergence of purpose-made designs for ECEC play interior environments. 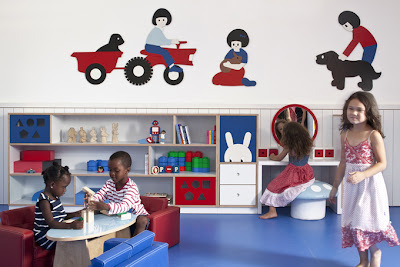 In Israel: Tel-Aviv based designer Sarit Shani Hay designs fun kindergarten spaces taking her inspiration from the kindergartens surroundings - a farm with lush vegetable gardens. 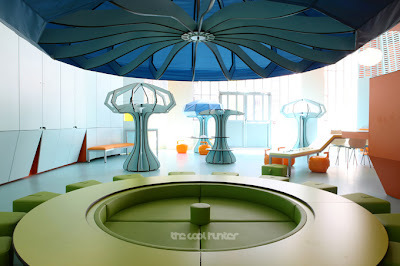 A mushroom serves as a house, a hiding place and a play station. All the objects she designs don't just look inviting but are designed for their inspiration for play and interaction. They not only serve functions such as sitting, but invite the children to discover and experiment. Lev-Gargir Architects also based in Tel Aviv designed this space with Bauhaus principles in mind for the floor plans and elevations and worked with Sarit Shani Hay for the interiors. 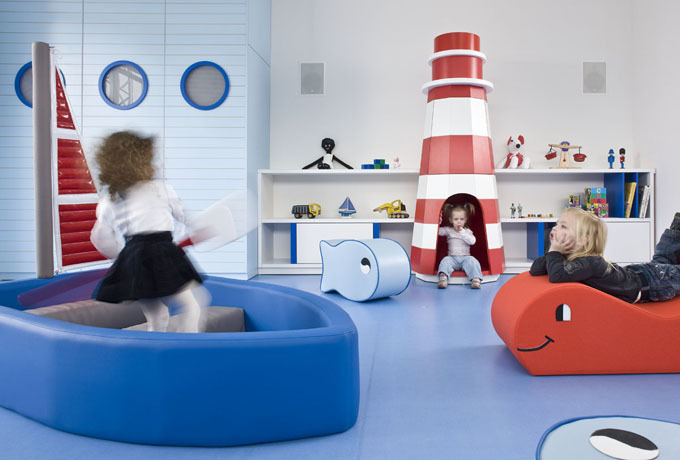 Maison des Petit's (House of Little One's) designed by french designer Matali Crasset is an activity centre in the art centre 104 Centquartre in Paris; for children under six, with creativtiy and discovery the only goals. 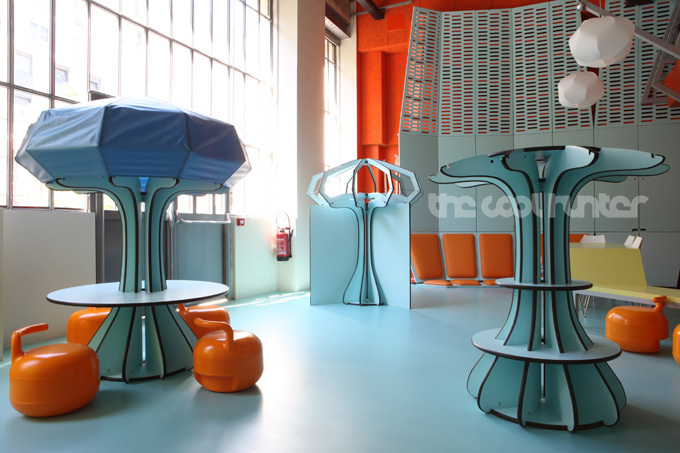 The space is divided into distinct areas for children of different ages and abilities and furnished with free-standing, mushroom-like structures. 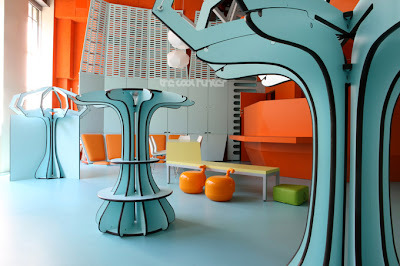 It is a place for meeting and mediation where people come to become familiar with artistic practices, a new logic of spending time of surprise and dicovery. 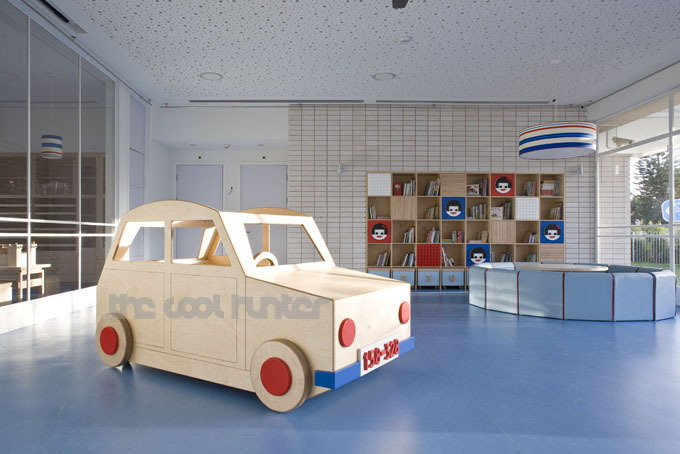 Taka-Tuka-Land Kindergarten, designed by Baupolitan, a group of architecture students studying at Faculty VI, Institute for Architecture at Berlin Univeristy developed this project from concept to implementation. Taka-Tuka-Land is based on Pippi Longstockings, a book by the Swedish author Astrid Lingdren. The children at the kindergarten and their teachers created collages, models, drawings and ideas based on Taka-Tuka-Land. The Baupiloten students then spent several days with the children observing their daily routines, schedules and their ways of communicating. 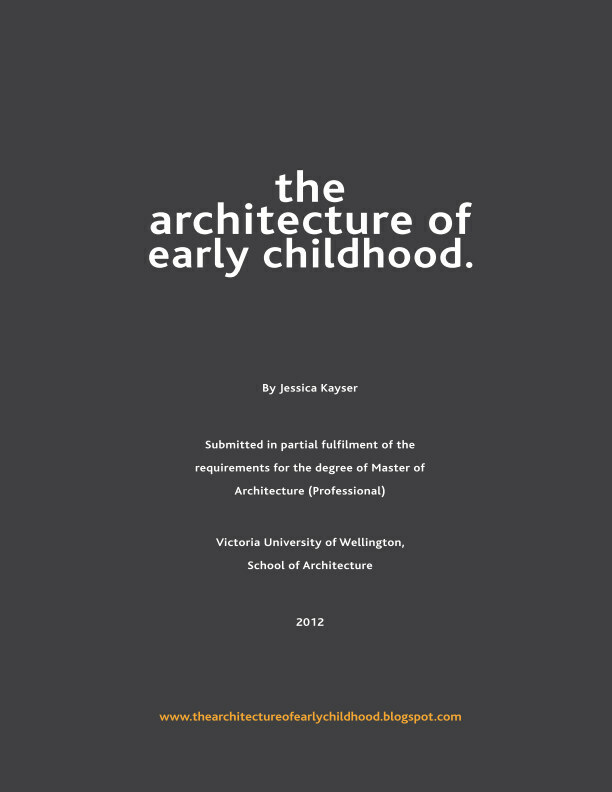 From this research, the design was developed. 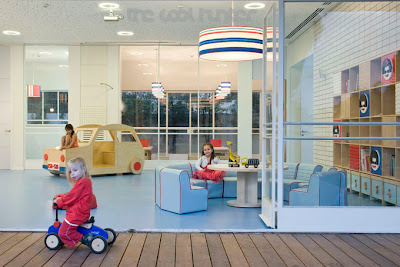 The building itself is Pippi's old oak tree that contains a lemonade factory. The lemonade breaks through the bark of the tree and flows outside creating padded play areas. The story of the building is a trip through the through the seven stages of the lemon tree, each facilitating a different activity: The lemonade tree, Glittering lemonade in the sun, Lemonade drops, The lemonade island, Waiting for the parents, Lemonade gallery, The bark breaks open, and Delving into lemonade. 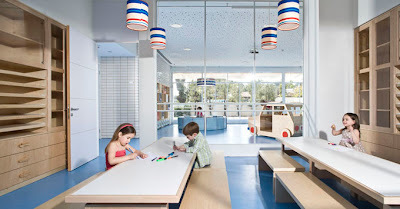 Whilst the examples above are no doubtedly visually exciting and imaginatively appealing offering fun play experiences, (and create beautiful photographic imagery), there seems to be little consideration when designing these spaces of the children's wider well-being - emotional, psychological and spiritual.